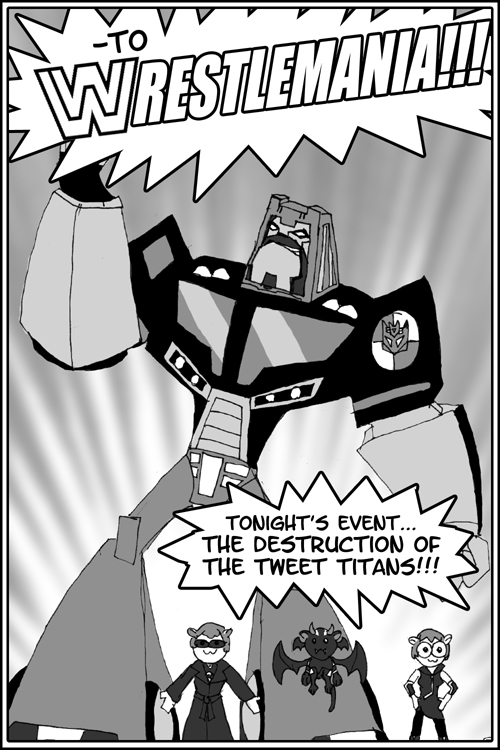 To remind people, this story was written back after the Botcon 2011 toy reveals, but before we actually got the toys in-hand at Botcon. And fortunately I had pictures saved to my phone of the resin sculpt and lineart to work off of. As for why he’s even in the comic, I drew “wrestling” as one of the things I had to incorporate into the story. So Motormaster was kinda an obvious pick to use given DJW was once again gonna be the master villain in my general vague story idea.